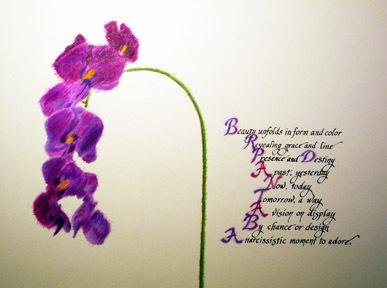 This is an example of poetry, calligraphy, and art. Ink and colored pencil. A narcissistic moment to adore.